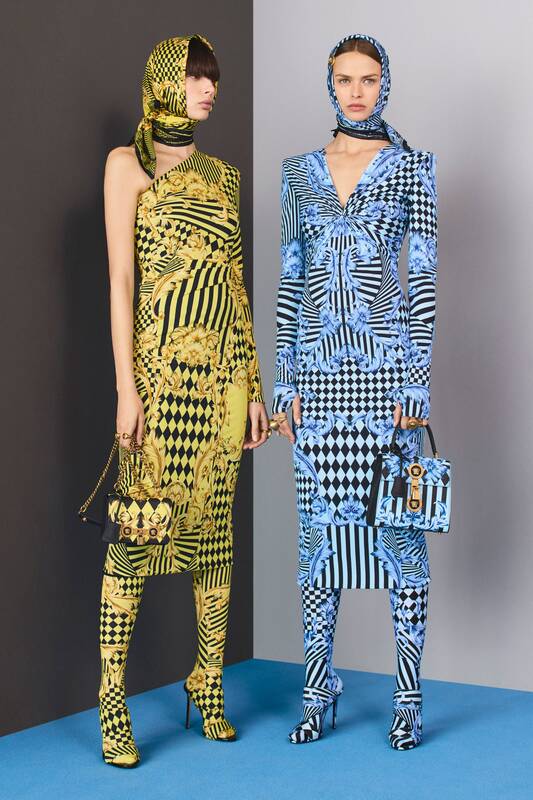 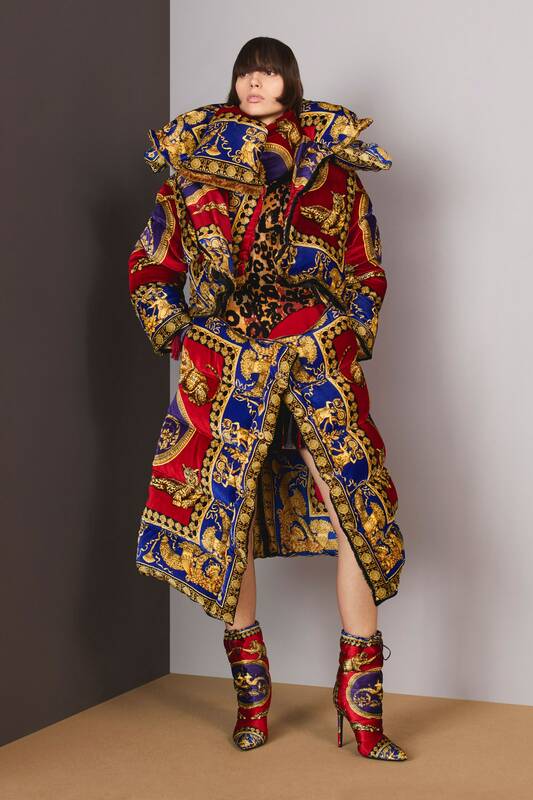 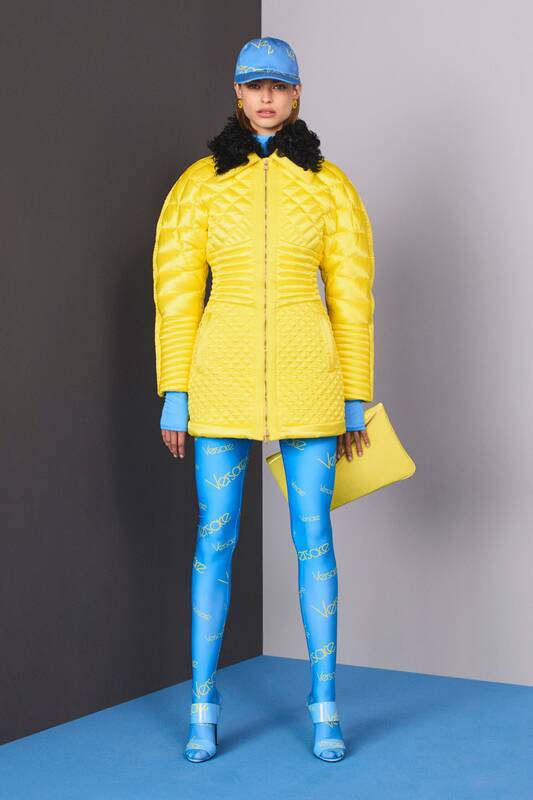 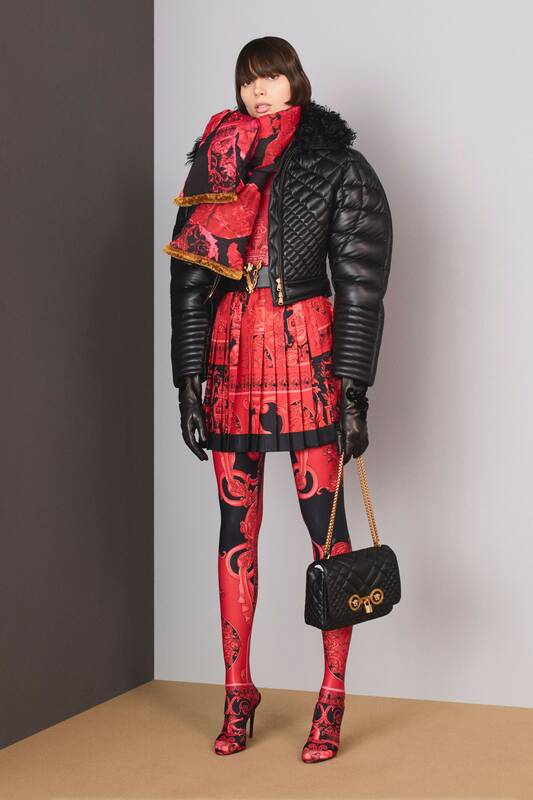 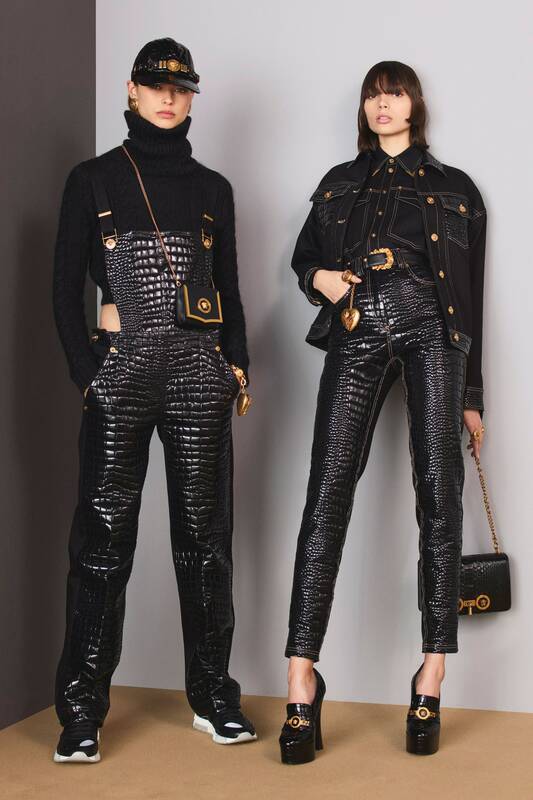 Following September’s impactful and emotional tribute to her brother Gianni Versace, Donatella Versace wanted to bring the spring show’s deep sense of belonging and intimacy into her Versace pre-fall collection. 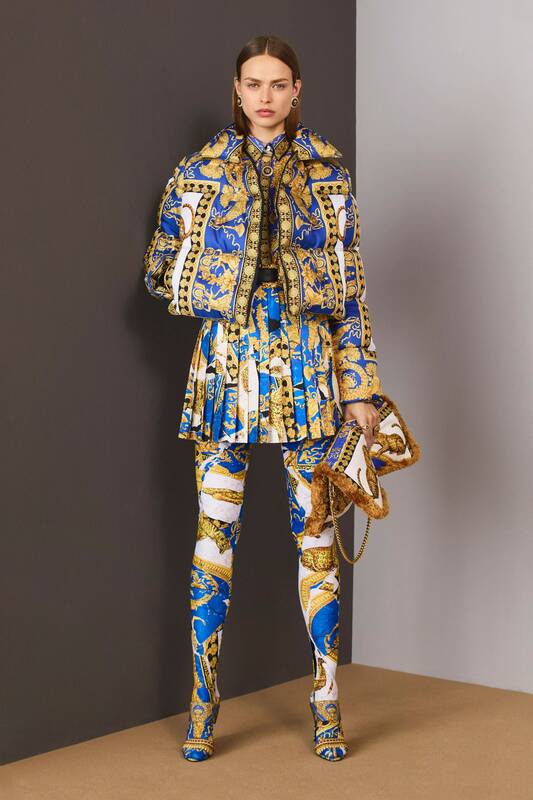 With that in mind, this season she didn’t embark on any exotic trip and actually found inspiration within the walls of the stunning Versace Palazzo on Milan’s Via Gesù. 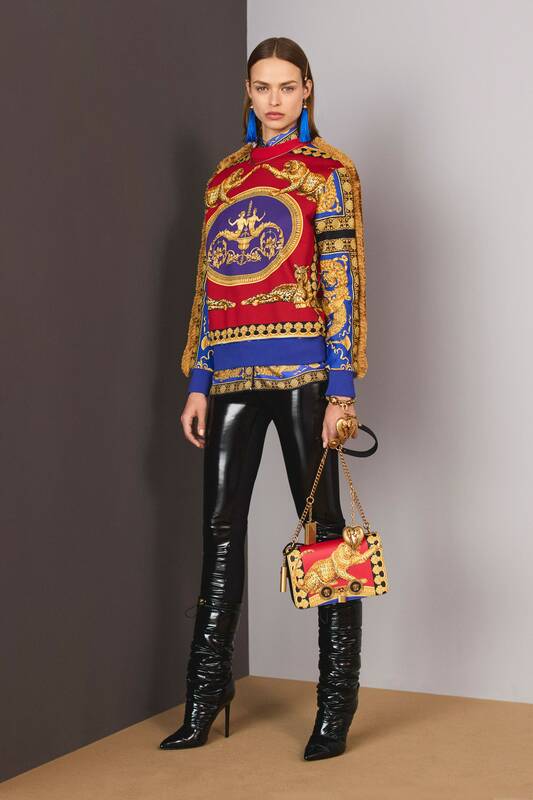 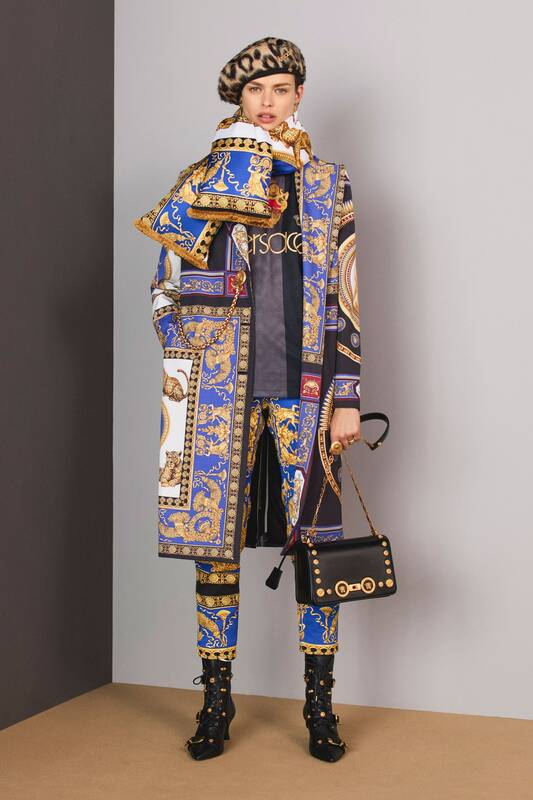 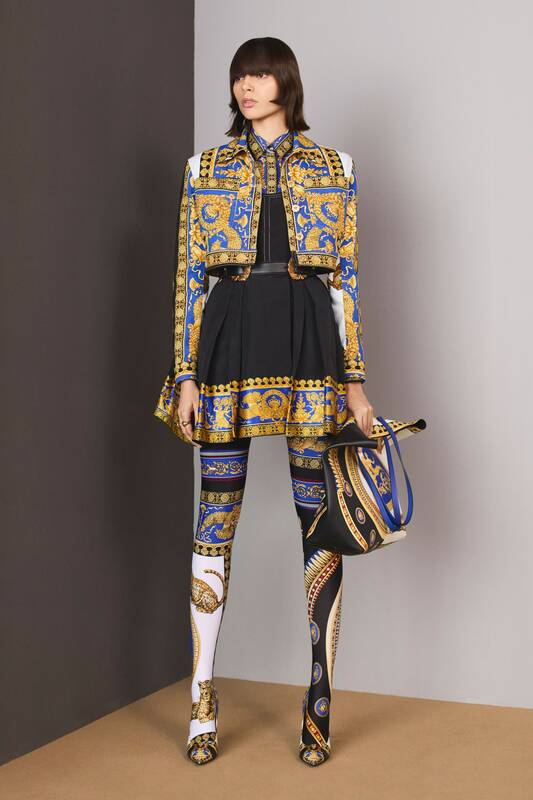 Gianni Versace’s opulent apartment with its rich combination of Neoclassical and Baroque elements, as well as the various Versace Casa interior design ranges, deeply influenced the exuberant collection. 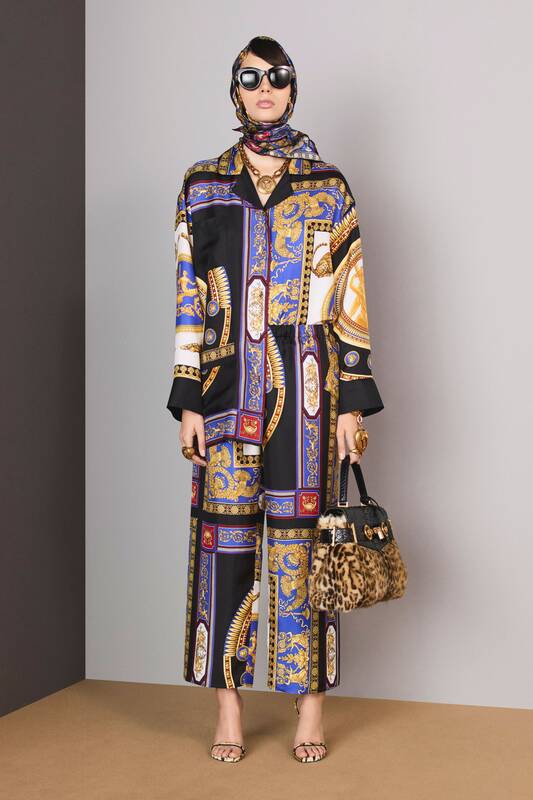 Archival patterns and new motifs were merged in the flamboyant prints matching graphic touches and sinuous lines. 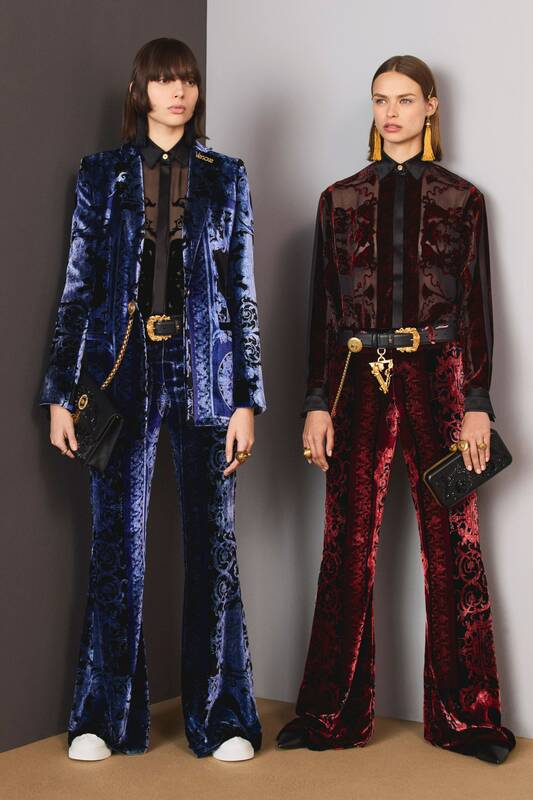 These were splashed on fitted jersey frocks and on an elegant silk shirtdress with delicate velvet devoré details.